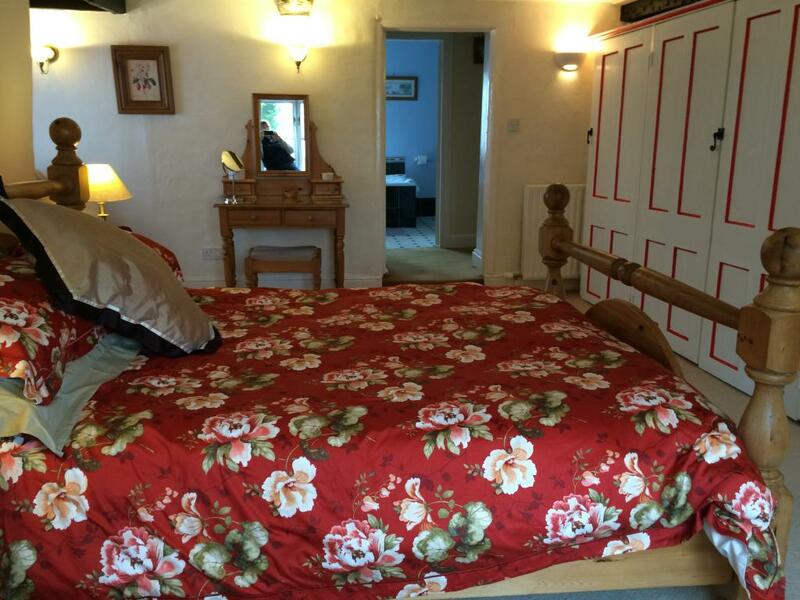 The en-suite double room is on the first floor in the Edwardian part of the main house. 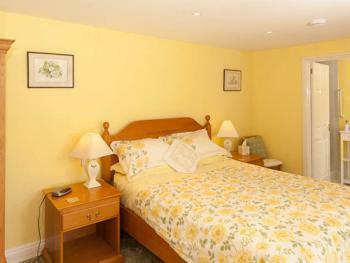 This room is our smallest room and has a standard double bed, our other double rooms have king size beds. 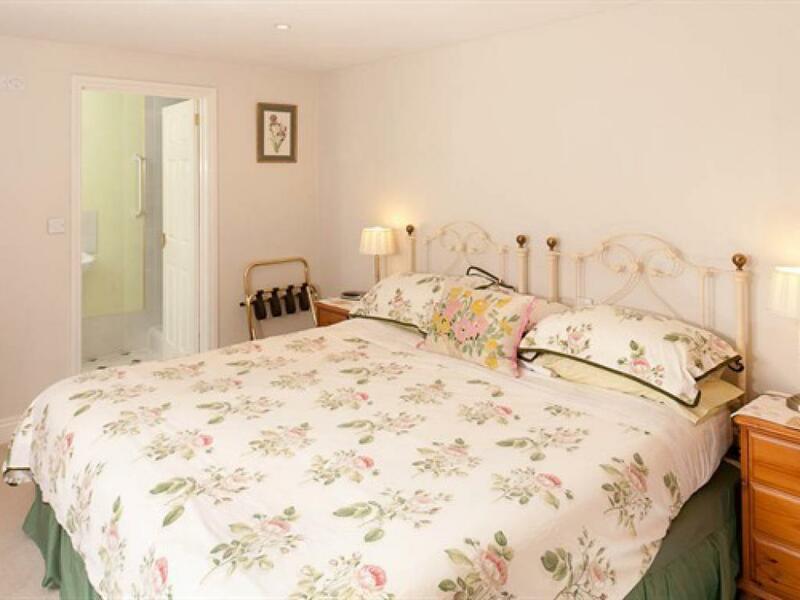 The room is decorated in green and pink and has an iron bedstead, pine wardrobe,chest of draws and wall mounted dressing table, a stool and comfy chair. the widows overlook the back garden, there is full central heating, a colour television, radio alarm, wifi access, hair dryer and tea and coffee making facilities. 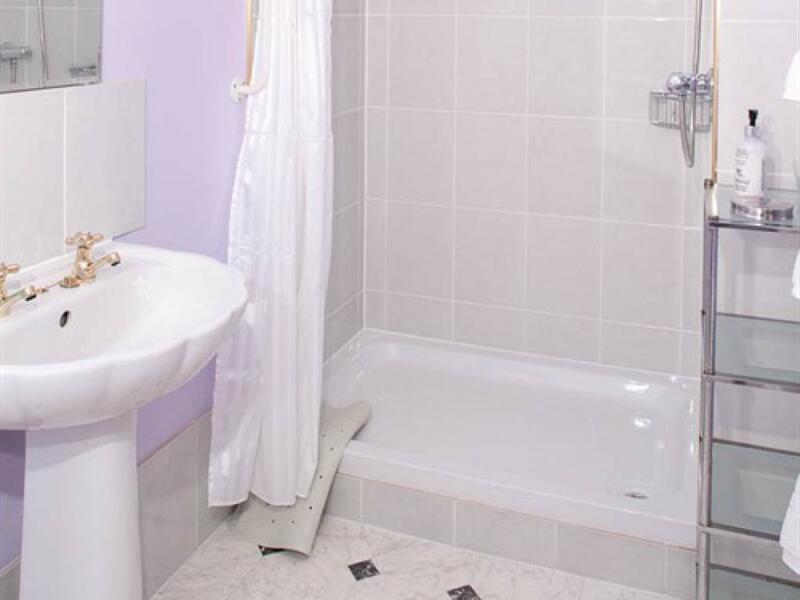 The en-suite shower room has a large 1.2m shower, hand basin, toilet, fresh towels and complimentary toiletries. 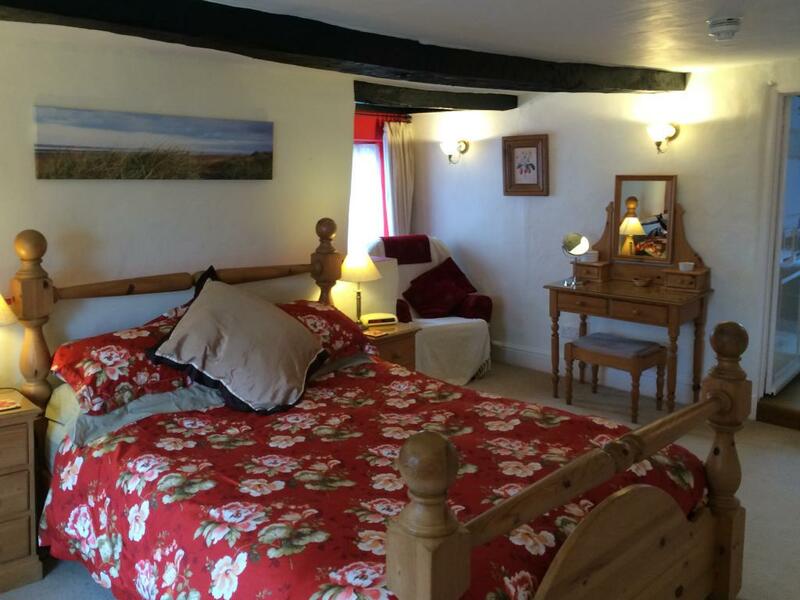 Our en-suite double rooms are all spacious and individually decorated with fully controlable central heating, flat screen television, radio alarm and tea and coffee making facilities. All the rooms have modern en-suites with a 1.2m wide shower. We have one en-suite twin room on the first floor in the Edwardian part of the house. 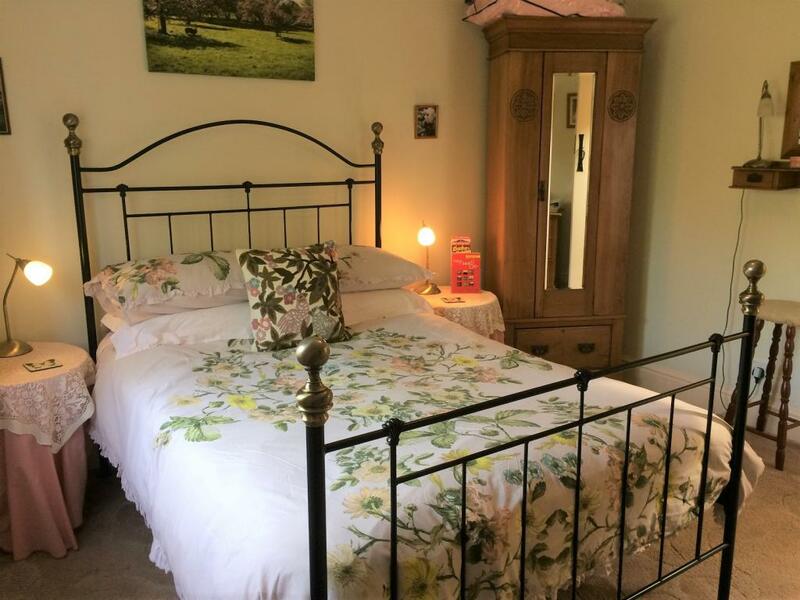 The room is spacious with 2 full size single beds seperated by 2 bedside tables and a large wardrobe.There is also a dressing table and stool, chest with cupboard and draws and a comfortable chair. The room goes across the house and has windows that look out onto the front and back of the house.There is a television, radio alarm clock, hair dryer and tea and coffee making facilities in the room. 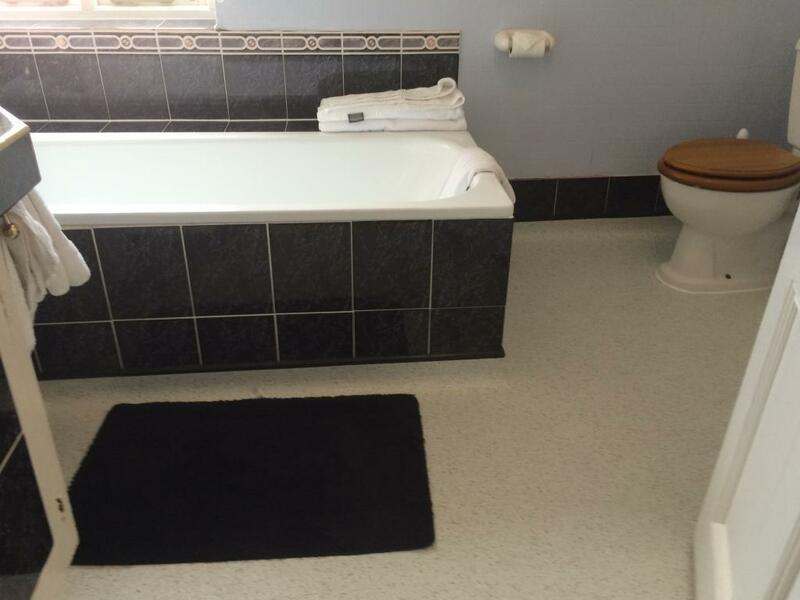 The en-suite has a 1.2m shower,basin and loo. 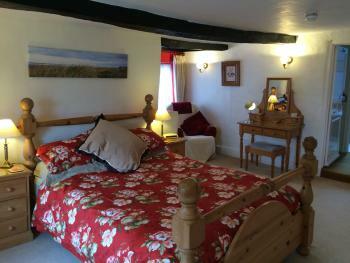 The Ground Floor Super King Size double room is one of our garden rooms in the converted stables. It has a comfortable super king size double bed, dressing table and stool, wardrobe, bedside tables, comfy chair and chest of draws with tea and coffee making facilities on top. The room has a free-view television, radio alarm clock and central heating. The en-suite has 1.2m shower, basin and loo there are grab rails by the loo and shower and hot water is available at all times. The room has french windows which open out onto the patio, with interior shutters which provide privacy and insulation in winter. The patio outside the room has a table and chairs for guests to sit at and enjoy the garden. 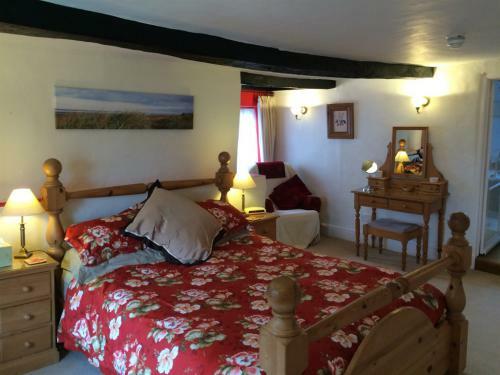 Our ground floor garden suite is in the converted stables it has a double room, twin room and en-suite shower room. 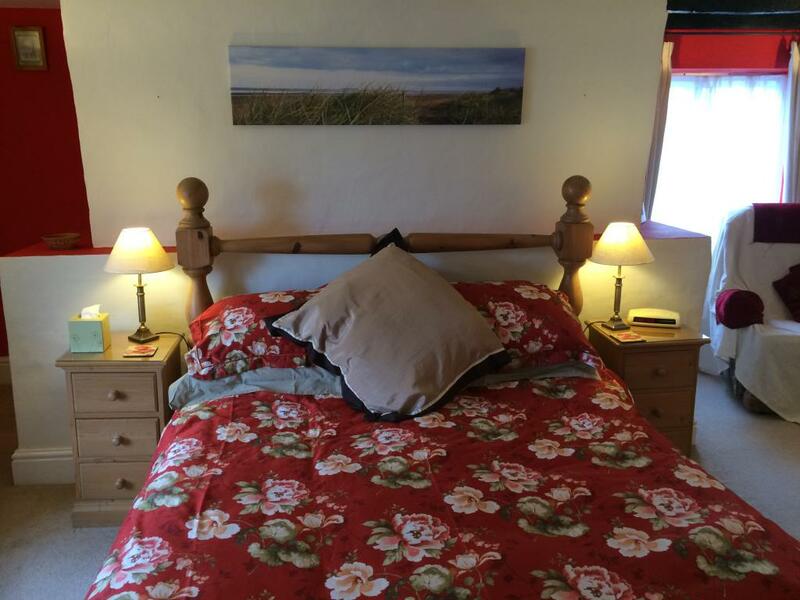 The double room has a king size double bed, wardrobe, dressing table and stool,2 bedside tables, chair and chest of draws. 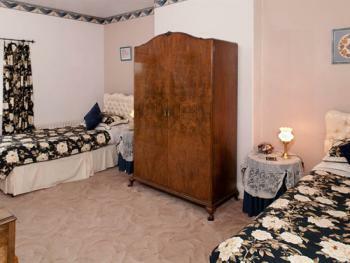 The twin room has two full size single beds single beds, dressing table, 2 bedside tables, chair and a clothes hanging area. The en-suite shower room with has a 1.2m shower, basin and wc, there are grab rails by the wc and shower. The room opens onto a patio where there are tables and chairs for guest to use.Facilities include full central heating, colour television and tea and coffee making facilities. The first floor King Size Double Room is a large room in the 17th century part of the house the two windows overlook the front garden. The room is decorated in green and white with a hint of red and has the original black beams, if you look carefully you will find the recesses for the oil lamps. 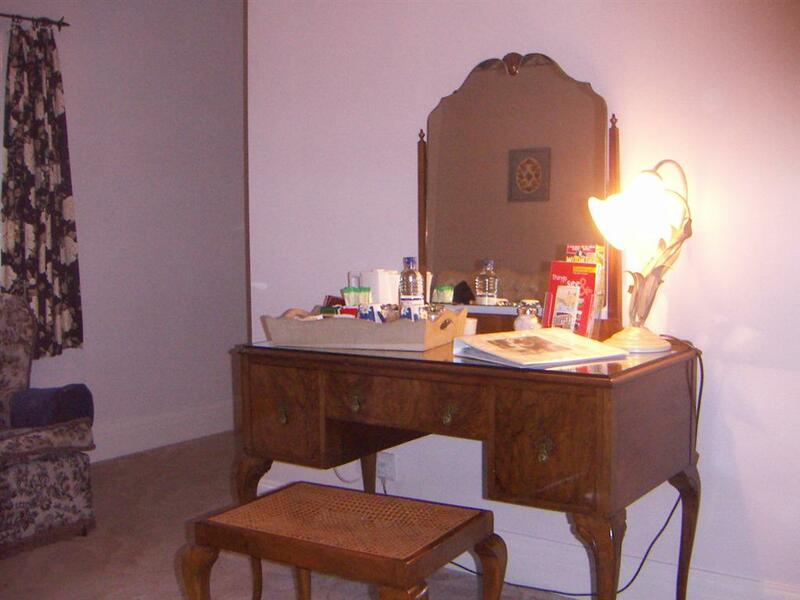 There is a king size double bed, a built in wardrobe,a small sofa, a dressing table and stool and a chest of draws. 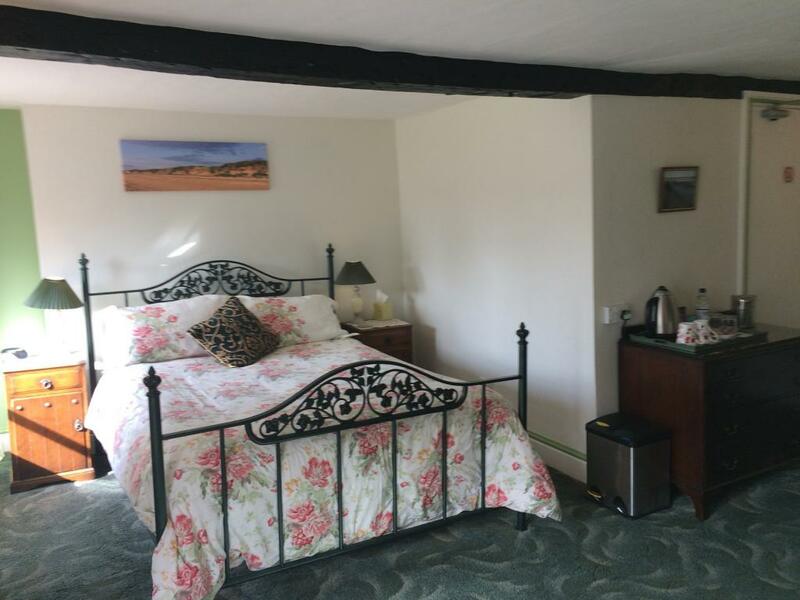 The room has central heating, colour television, radio alarm, hairdryer and tea and coffee making facilities.There is door from the bedroom into the en-suite shower room which has a 1.2 m shower,hand basin, toilet, fresh towels and complimentary toiletries. 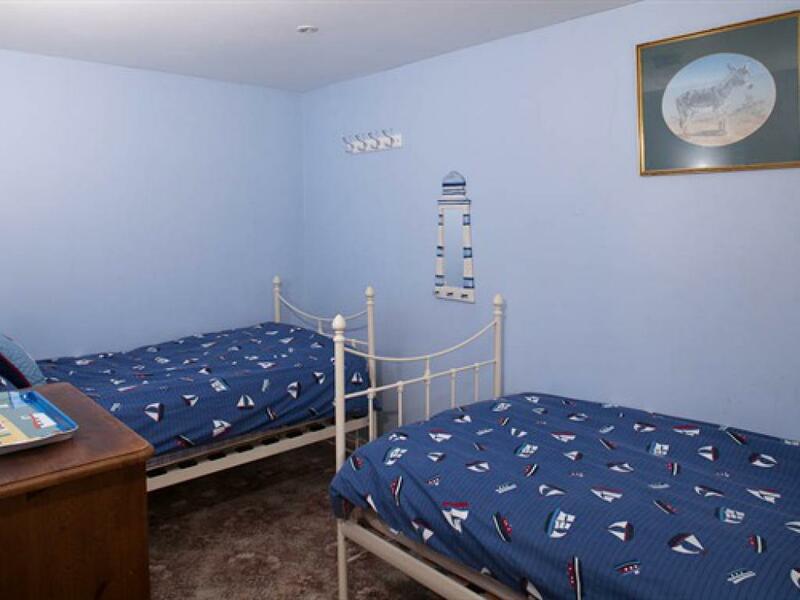 This room is large and can accommodate 1 or 2 children under 12 in folding beds at an additional cost. The family option is not always available. This family suite is on the first floor, the door opens onto a small hallway, the door to the left leads into the double room, the door straight ahead of you opens into the twin room and the door to the right opens into the en-suite bathroom. All the rooms have central heating. The double room is in the 17th century part of the house and has windows looking out over the front garden and side of the house, it is decorated in red and cream and has the original black beams. The double room has a king size double bed, dressing table and stool, chest of draws, 2 bedside tables and small stand made in pine. There is also a large built in wardrobe, comfy chair, television and a tray with tea and coffee making facilities. 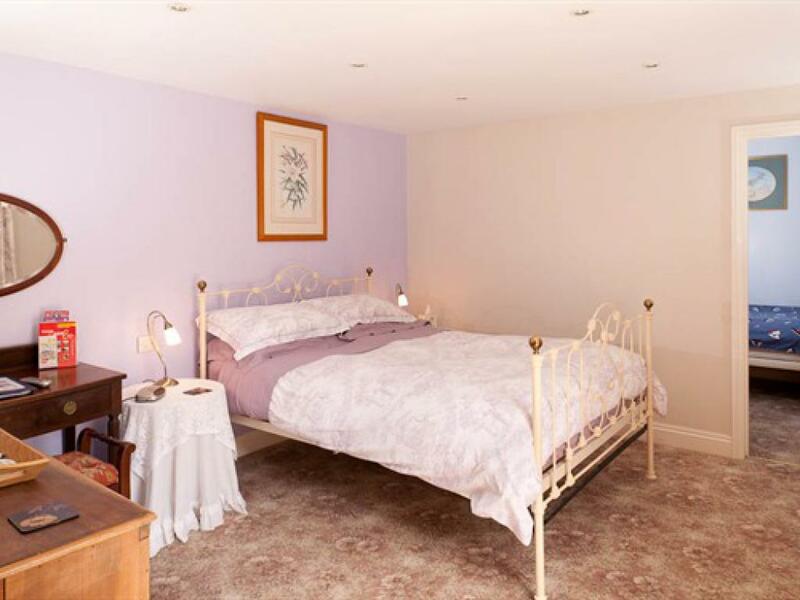 The twin room is decorated in cream with a hint of red, there are 2 full sized single beds, chest of draws, small hanging rail and 2 bedside tables. 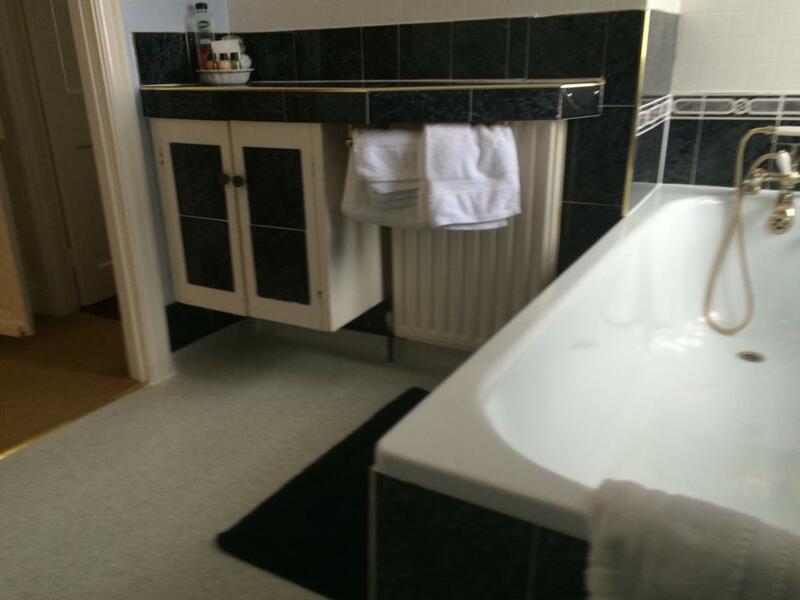 The bathroom is decorated in blue, white and black, it has a full size bath with taps and shower head, a separate shower, hand basin, toilet, fresh towels and complementary toiletries. Yew Tree House is a refurbished part 17th Century house in Somerset, offering four star bed and breakfast accommodation throughout the year. 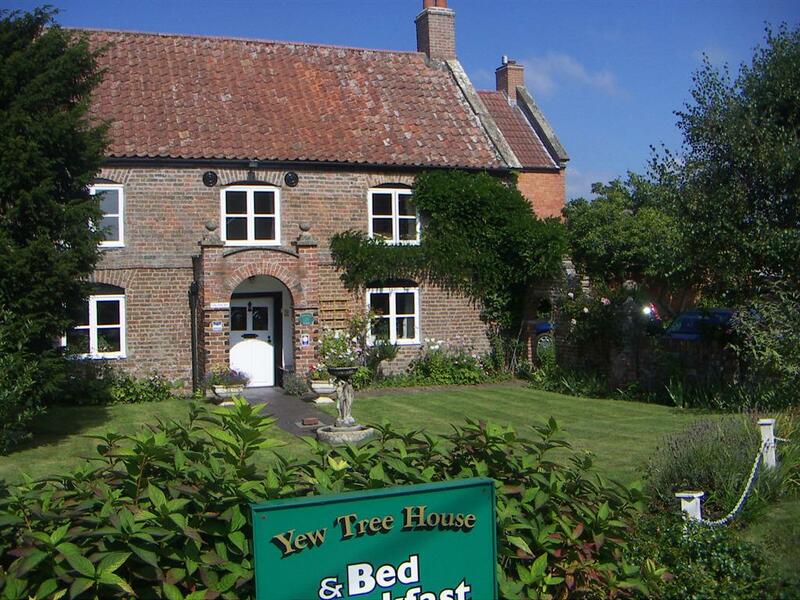 There are seven spacious ensuite rooms all individually decorated, four in the main house and three ground floor rooms in the converted stables. The house is situated within walking distance of the golden dunes and sandy beaches at Berrow on the North West coast of Somerset, Just 15 minutes drive from Junction 22 of the M5. 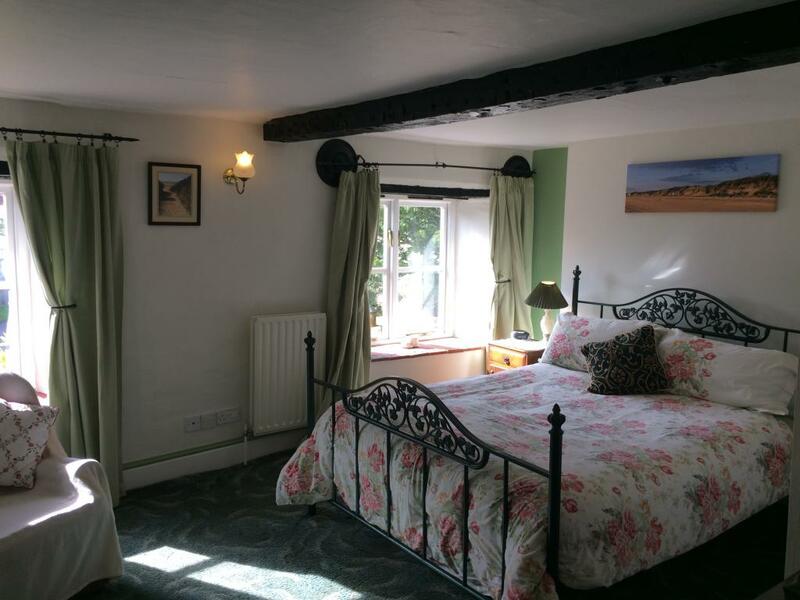 It is ideally located for visitors wishing to explore the coast, the Mendips and the Quantocks and also provides peaceful accommodation for business travellers. 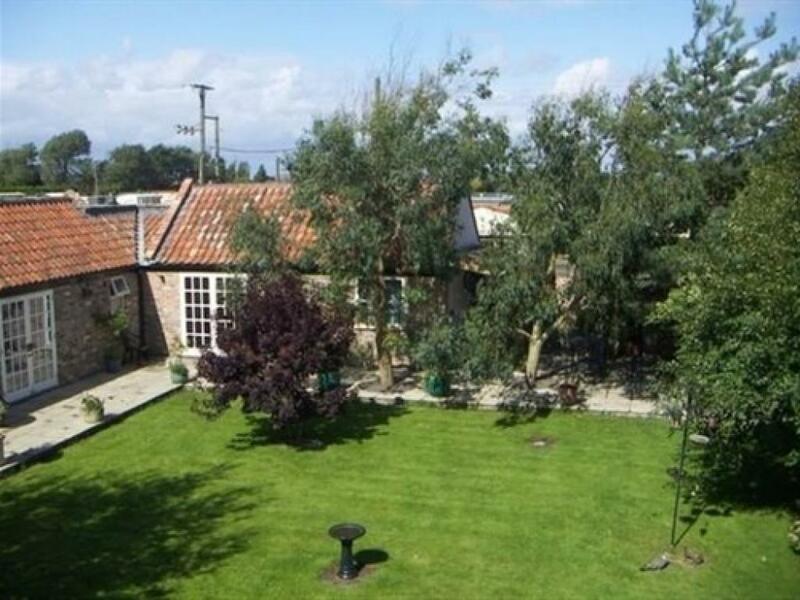 The house is on a quiet lane and all rooms overlook the gardens which may be enjoyed by our guests. The breakfast room and the lounge (which is always available to our guests to meet friends in, relax or watch television) are in the 17th Century part of the house. 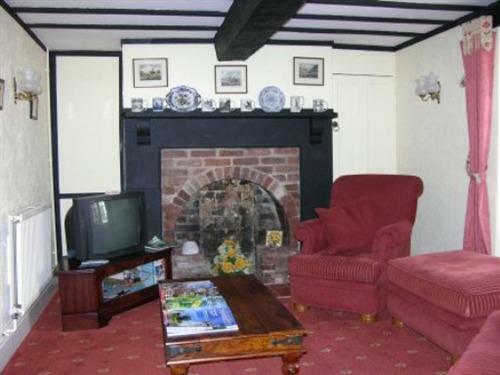 Both rooms have beamed ceilings and period fireplaces. A freshly cooked full English breakfast or a continental breakfast is served every morning in the breakfast room. We also regularly serve vegetarian breakfasts and are happy to cater for other dietary requirements. We have three ground floor rooms in the converted stables. There is easy access from the rear car park along a path to the rooms. The rooms are entered through wide doors and the ensuite facilities have hand rails by the shower and toilet but are not large enough to accommodate a wheelchair. The dining room is on the ground floor of the main house and is a short walk from the rooms and can be accessed using a wheelchair..
Leave the M5 motorway at Junction 22 signed Burnham-on-Sea. Go straight on at the first & second roundabouts (there is approx 2 miles between roundabouts) following the signs to Berrow & Brean. Continue on for about 1 mile until you come to a mini roundabout. Bear right here towards Berrow & Brean and drive through Burnham until you reach Berrow. Half a mile after Berrow village you will pass a church set back on the left hand side. After a further half a mile, turn right into Hurn Lane. On arrival at the station, you will need to get a taxi or catch the 21 bus which stops outside the station to Bridgewater/Taunton via Brean and Burnham on Sea.Once you pass Brean Leisure Park you need the Hurn Lane stop (bus shelter painted with pictures of giraffes). When you get off the bus Hurn Lane is on the opposite side of the road, walk up the lane and we are 270m/300yds on the left. Buses of Somerset service 21 runs from Weston-super-Mare to Bridgewater or Taunton.It operates every half hour from about 8am to 6/7pm during the summer season and less frequently at other times during the year. Timetables are available online and change regularly. The bus stops at the bottom of Hurn Lane and it is a 270m/300yd walk up the lane to the house which is on your left.